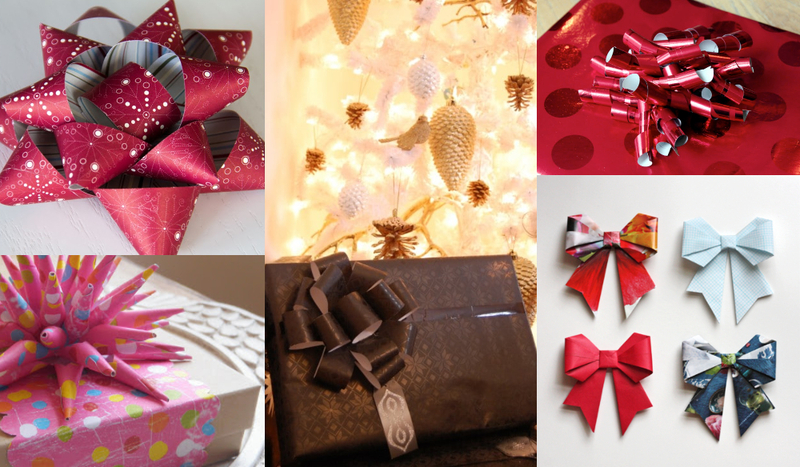 I don't know about you but I get really tired of the plain old store-bought bows. They can be kind of boring am I right? I mean you go to all the trouble of putting up and decorating a spectacular Christmas tree, you go shopping for pretty wrapping paper to wrap pretty presents to go under that spectacular tree and then you slap a boring, run of the mill bow on it... womp! womp! 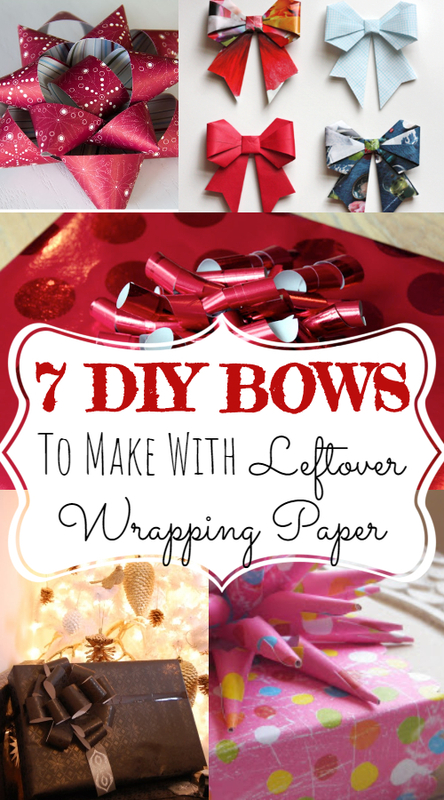 Today, I'm sharing 7 DIY bows that you can make with leftover wrapping paper! 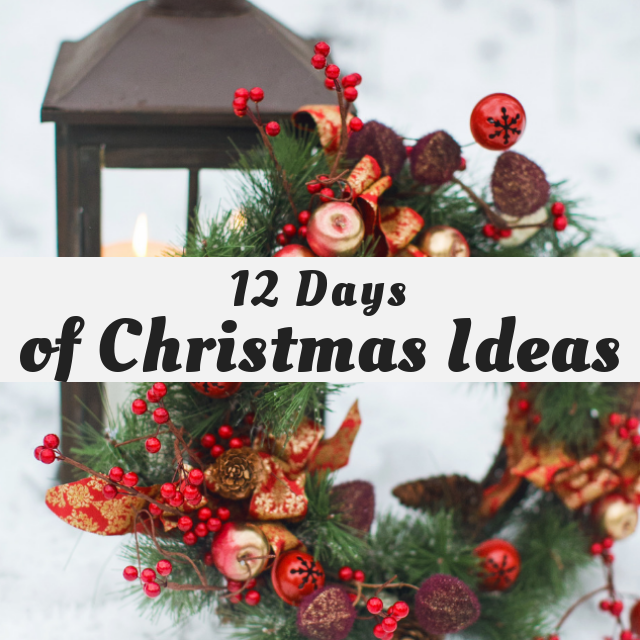 It seems like there are always leftover bits of wrapping paper that aren't large enough to wrap anything with and I hate wasting things so these ideas are perfect for using up those small pieces! This tutorial from Charlotte's Website shows how to make a basic bow just like those you buy in a bag at the store... except these will be SO. MUCH. BETTER. 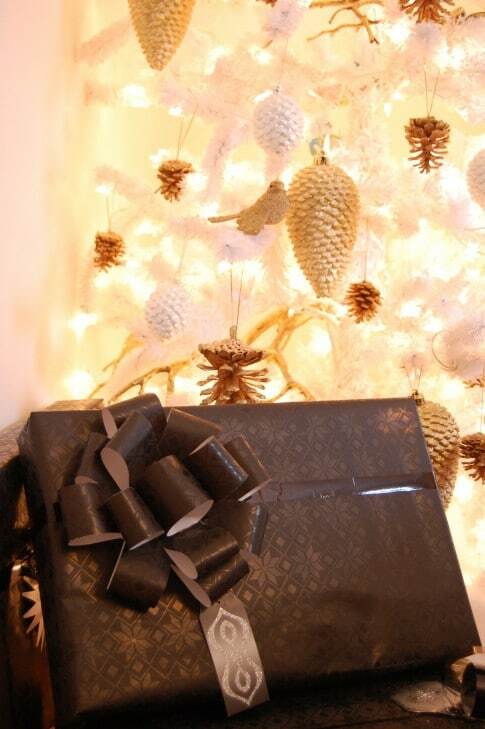 when made with wrapping paper! 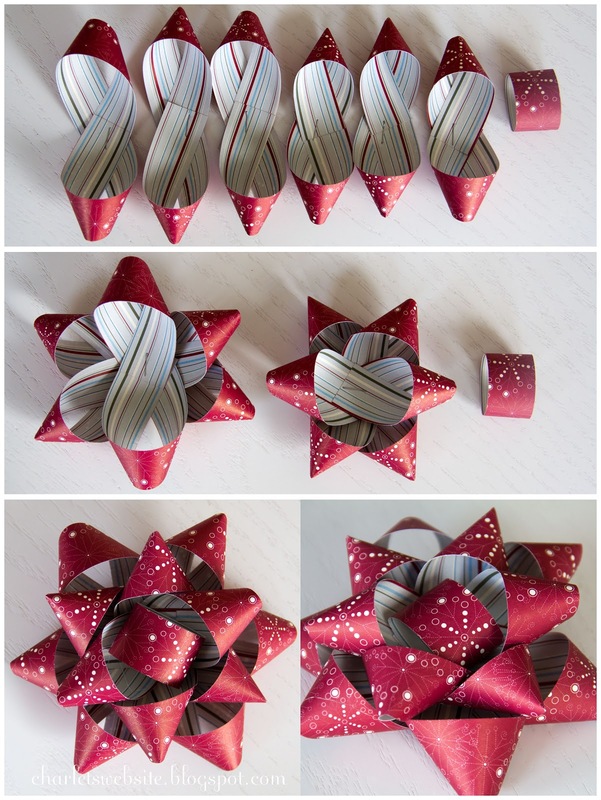 You can put a little spin on that and make these pointy bows! I have one red one like this (that is store-bought) that I use over and over. I love it so much but it is getting a little ragged, I'm happy to learn how to make more! This is from Artmind Etcetera. Or maybe a pretty curled bow! This idea is from Simply Julie. I love this little bow too from The Frugal Crafter. 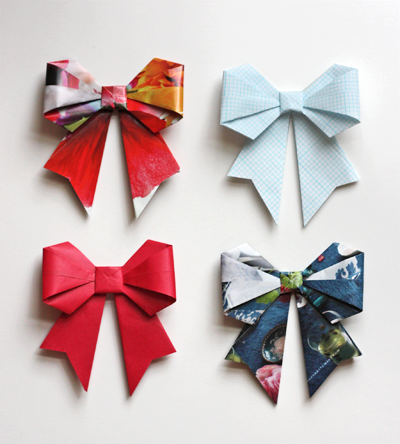 Some fun origami bows may be in order, this is from How About Orange. I love this BIG round bow too! Karen from The Art of Doing Stuff shares how to make these. This one is from Srujana TV on YouTube.